Last week I ran one of my open workshops in London and I had six fantastic participants, and despite their professional experience, every one of them wanted to learn how to minimize their nerves. 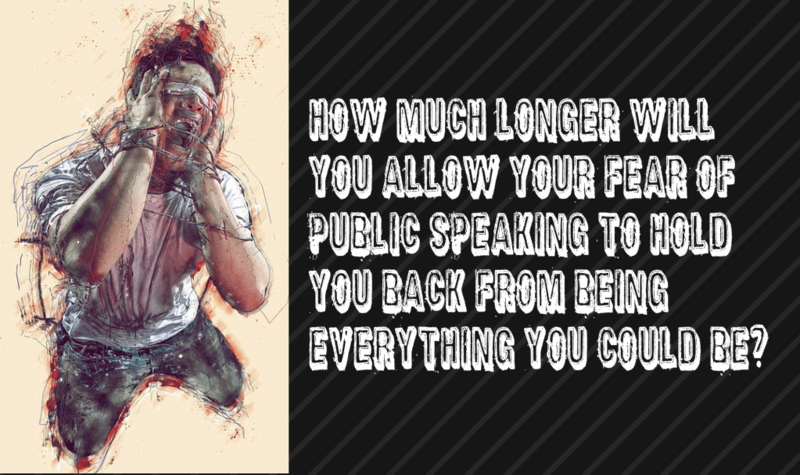 The fear of public speaking is a common and often paralysing condition. As a departure from my usual session, I assigned them into pairs and asked them to share their worst nightmares about speaking in public. What were they really afraid of? What would be the worst thing that could happen, if what they feared actually came true? Their greatest fear of public speaking turned out to be that others would think less of them as a result of a poor public speaking performance. And when challenged as to what the worst outcome of this could be people struggled to find a really terrible outcome. What we fear rarely comes true. In fact, the more we avoid what we fear, the more we inflate that fear and the more paralysed we become. Ultimately our fear ensures that very outcome that we think it is trying to protect us from, occurs. Finally, cast your mind back to your childhood and slowly review your life to the present day. What sort of things have you done that, at one time in your life you were afraid of? Haven’t you successfully faced your fears countless times and survived? There are lots of tools and techniques for tackling your fear of public speaking, but it’s usually best to start by challenging your fear head on. Thanks for posting a comment on my blog about fear of public speaking. I want to help you, but I am not 100% sure what your question means.